The wife of Benue State governor, Eunice Ortom, says Eunice Spring of Life Foundation (ESLF) has treated over 20,000 people under its phase two of free medical outreach in the state. Mrs. Ortom disclosed this on Thursday in Utonkon, Ado Local Government Area of the state, during the flag off of the third phase of the programme organised by ESLF, her pet project. She said that the people were treated of various ailments such as malaria, diarrhoea and typhoid fever. Mrs. Ortom emphasised that at the third phase of the free medical outreach, more people would be treated because the outreach was taking place in all the council wards in the state. “To strengthen the primary healthcare system for better service delivery, ESLF will donate autoclaves, blood pressure apparatus, needle holders, artery forceps, a complete kit for a surgeon to work successfully in a theatre. “These items will be donated to the most needy health centre at Ikpomolokpo. “Let me thank Echo Scan Services Limited, Abuja, for donating 10 modern hospital beds to us and we will distribute the beds to the needy primary health centres soon,” she said. The Programme Officer, ESLF, Tine Agernor, said that it was the utmost desire of the founder that all and sundry should have easy access to healthcare delivery. Mr. Agernor emphasised that the establishment of the foundation was to intervene in three critical areas of education, health and economic empowerment. He said that the third phase of the medical outreach would cover all the 276 council wards in the state. The Executive Secretary, Benue Primary Health Care Board, Bem Ageda, appreciated the wife of the governor for reducing the burden of the board by embarking on free medical outreach and pledged the board’s support. 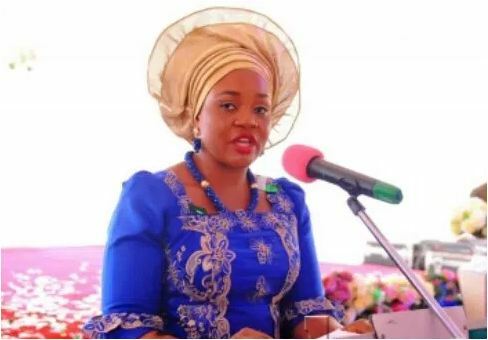 The Deputy Speaker, Benue House of Assembly, James Okefe, Anthony Ogbu and Ekpe Ogbu all applauded the wife of the Benue governor for taking care of the downtrodden. The APC Chairman, Ado Local Governmant Area, Alex Adadu, and the traditional ruler of Elonye, Obande Obeya, promised that the kind gesture would be reciprocated in 2019 by ensuring that the governor got overwhelming votes from the area.